Think you can handle the streets of Detroit Mi. 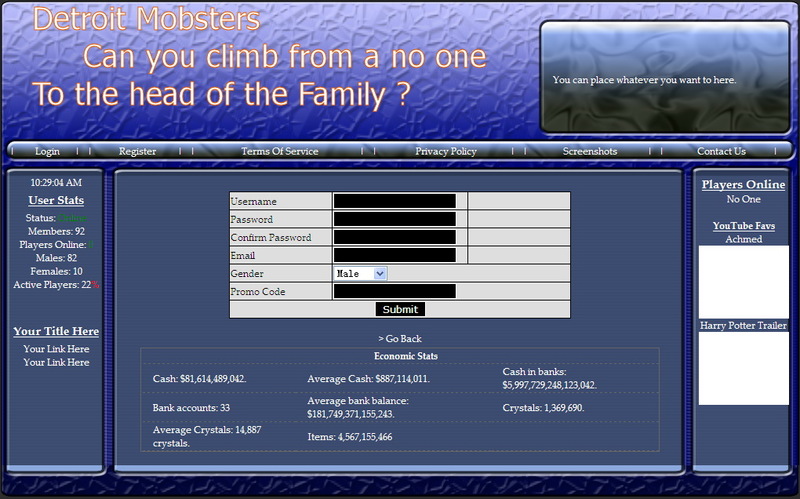 Think you can climb all the way to the top and become the Baddest, Meanest, and the Toughest. 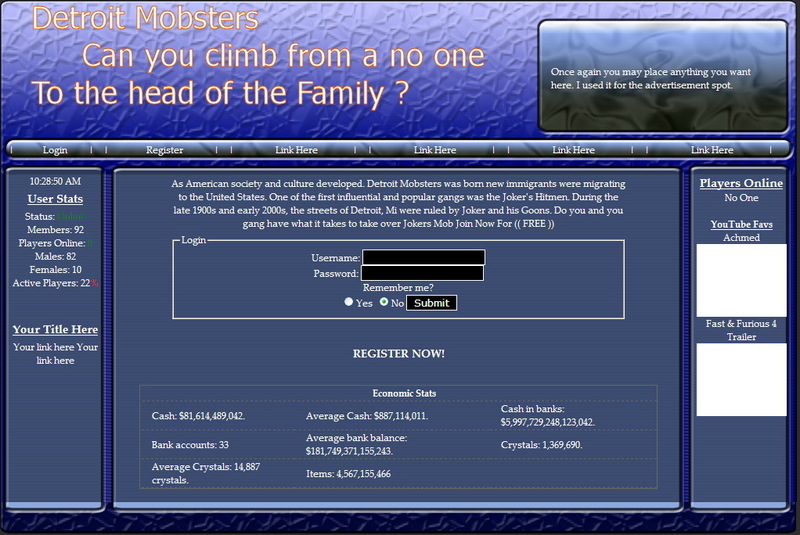 The join the world of the Detroit Mobsters. start your own gang help people out or just take out by standers it don't matter the choice is yours on Detroit Mobsters.